: Welcome back once again to the outcomes rocket podcast where we chat with today’s most successful and inspiring health leaders. Today I have the outstanding Swatee Surve. She’s the founder and CEO at Litesprite. 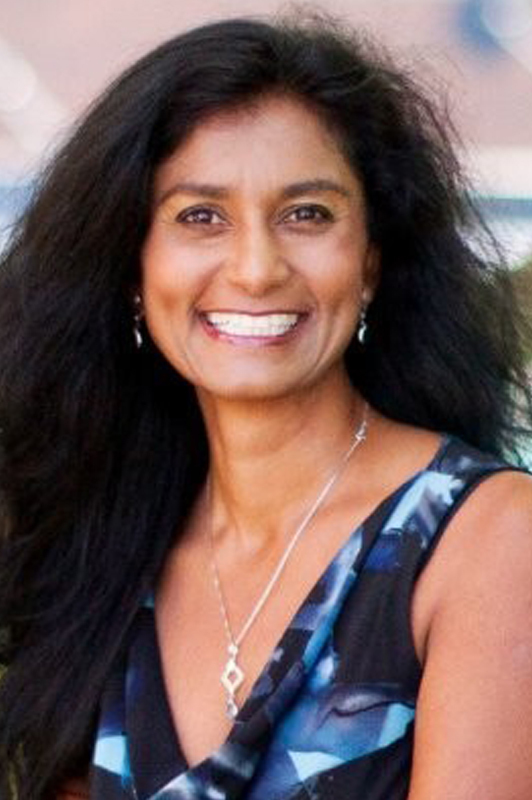 A Women 2.0 Seattle Female Founder to Watch, Swatee is currently leading Litesprite, a firm that combines games, machine learning, and big data to improve health outcomes for a variety of chronic health conditions. Litesprite is the first video game to win a U.S. Surgeon General Award and the only one recommended by clinics today. The firm has also received financial awards by the U.S. Army, Robert Wood Johnson Foundation, SXSW, Livestrong Foundation, and Singularity University. All organizations with which you all are are all familiar with being that your health care leaders. So throughout her career she’s had major results and she’s been identified as knowing how to set up best practices. She’s been identified as a creative results driven leader so with a true pleasure that I bring Swatee to the podcast and now give me a warm welcome. Swatee welcome. : Welcome, Im really excited to be here today. Thanks for the opportunity. : Absolutely. Now Swatee, did I leave anything out in that intro that maybe you want to chat with us about. : Sure. I think one of the interesting things about my focus in health care has been Ive been working in this space of what’s now called digital health before. There was actual term for it so I’ll go and date myself. But back in the late 90s early 2000s I was working with wearable technologies back then and my interest. I’m a biomedical engineer by training and really my interest back then was the applications of technology but at the patient’s side. Because what I was seeing is a lot of applications in the enterprise internally are big diagnostic systems. I started my career at Eastman Kodak and at the time there were a big provider of radiology imaging. So I worked in the research labs there and we were on the task. The group was an innovation center and were tasked to look at and identify what’s considered Greenfield or white space opportunity. So I was looking at the space this will literally looking at how are these really interesting technologies at the time, the web or even somewhat kind of remote monitoring devices are being applied in a home care setting or in a consumer setting. So I’d start looking at this emerging field of wearables back then. There were some efforts around remote patient monitoring in the home. So I was looking at digital health applications well before anyone was really even thinking about them and that kind of continued throughout my career. I was the first person Nike had hired to do wearable tech in 2001 my patents were there first. Yeah very cool a first for the company actually and then that kind of continued when I went to Microsoft in about eight years ago I was looking at the applications of artificial intelligence machine learning health care data sets. And that was in 2011 as I now. So 70 years ago. So I’m not a I’m not a stranger to health care and I’m certainly not a stranger to a lot of the technologies that people are talking about today. : I think it’s neat that you’ve sort of gone along this winding road with different consumer goods companies and now you’re on your new venture with Litesprite. What would you say Swatee is a hot topic that needs to be on every medical leaders agenda today? And how are you guys addressing it? : Which is pretty cool right. : Yeah that if you had it if someone gave you a cellphone from three years ago now you’d be like I don’t want it. : Please don’t. I don’t want it. : Yes. The functionality and capability that I used to, right. And some innovation cycles and capabilities change so much and as a result different game people have different expectations they have different usage patterns and then their usage of technology and reliance the technology changes. So what’s appropriate level of evidence that you can maintain and ensure patient safety and risk is not being compromised. But at the same time you’re able to keep up with the innovation cycles and take advantage of the innovations in these rapid cycles that the technology does allow you to do. I think that’s that’s an inherent kind of conflict. And I think each organization needs to kind of figure out where they want to be on that continuum. : Yeah I think that’s really really insightful Swatee and as manufacturers and industry starts looking at and digital technologies I mean number one this is where the puck is going. If you’re not currently working on a project that’s integrating technology and data insights you’re going to get left behind. If you’re not then you’re going to get left behind period. So those of you that are, the insights that Swatee’s talking about is actually very very interesting right because if you’re a traditional med device manufacturer for example or a pharma company that you have these long cycle approval ways it’s not going to be the same or necessarily the right way to do a digital health application. Really insightful Swatee and so what are the things that you have found on your journey through some of the things that you’ve done. For example for this this mental health platform that you’re currently working on. : What have we done relative to evidence or just general took qubit out? : Evidence and then also outcomes that have come as a result of the platform. : Yeah. So it’s an opportunity but it’s also you know as long without opportunity they are risks right. There’s always that case. So as we talked about one of the opportunities and your health is it allows you to accelerate and get products and impact patients a lot quicker and improve patients lives and get outcomes out there. It also allows you to test very quickly what doesn’t work. And they talk about that in a lot of the other industries about failing fast. And there is consequences are failing faster in health care. So you have to I think be measured about it. But one of the things we did because it allowed us as we tested our product every we have for the listeners who aren’t familiar with Litesprite, we have a mental health videogame called Sinasprite what it does is it teaches a combination of evidence based treatment methods to players and it’s through a protagonist Socks the Fox who wants to become a zen master. So it’s a it’s a rather unusual construct right. It’s fun. It’s a little irreverent maybe childish for some who are very used to allopathic method and are very very direct method of delivering health care but more often than not one of the things we’ve discovered. So you’re coming off of the premise that it’s a game. Any I’ve talked to some of my advisers and board members for a lot of people in health care game means it’s not serious and it’s somewhat dismissive and that’s okay. But here’s the thing. And it’s been shown time and time again. A gaming construct is a place where and Jane McGonigal has written about this and it’s been talked about by gaming experts. It’s a comfortable place where people can learn and fail. Right. And another other aspect of construct of games that people come up in conjures is this teenage boy in the basement playing these hyper violent games. And that’s not really gaming today. Gaming today is the average gamer is a 40 year old woman. And yeah I had no idea the advent of mobile games in fact I think a year or two ago it was the first time that they you know a down forecast for consoles. So just even understanding what a game and a construct is. But the reality of it is we didn’t know if this would work right even though we would have all this data. Is someone going to resonate with this? Is it going to resonate? We had our eye hypotheses. So you have to do the traditional product testing and we did it in a lean methodology meaning that once we had enough of a product out there that we could start to get feedback from player feedback. We would continue to build and grow on it. But one of the things we started to do along with that and it’s kind of tricky to do but we started collecting clinical evidence. So that’s one of the unique things that we did was we didn’t wait for the product to get built to its 100% level. We said we’re going to start building it out. But it impacted our product development in the sense it slowed that down because we couldn’t necessarily change may implement changes that would radically alter the experience. That’s another thing you have to kind of worry about with innovation if you can change the things quickly and some, if you can change things quickly and you’re running a test then how much do you change before you’re really actually altering impact rate and some digital hub companies have said, “you know what we’re not doing clinical testing at all. We’re not going to go down the outcomes path we’re just going for commercial data.”So some digital hub companies have decided that others have taken the other route which is no we’re going to go. Do we completely full randomized clinical controlled trial? We’re going to wait eight years for our results to come out. Right. And there’s going to be a continuum that I think you’re going to continue to see. So what we did was we said okay well we’ll have a good enough baseline product we’re going to go out there and test it and we’re going to do minimal increments things that we know probably won’t impact the overall usage or engagement. And then look at the clinical measures. So that was one of the things that we did differently and that resulted in a publication earlier this year that Ohio State’s College of Pharmacy. So we enlisted the help of college pharmacy from mental health video game to look at improvements and impact. And that was published in JMIR under general Internet medical research just earlier this year. : Very cool. Yeah it’s interesting right. There’s a spectrum that you can take and it’s really there’s no one size fits all strategy really kind of have to figure out where you’re going to come up with your approval pathway. : Yeah. And it will be different because that’s another really cool thing about digital health. There are all kinds of approaches you can take you know to solve the problem because you have so many tools that allow you to scale something but depending on what you end up choosing to do your level of evidence will be different and how you test it will be different. So it may not require testing at all. I mean if it’s not in a pejorative sense but if it’s a scheduling app, do you really need to show that you’re improving our life by X Y Z or is it just a patient satisfaction Net Promoter Score? Or is it workflow efficiency? Right? And those are maybe three totally different metrics and it’s going to be up to the organization what are they optimizing for your metrics and why you’re asking for sure optimize to year end objective. : Yup that’s a really great call out. : So I mean maybe none of those may just be hey look at so it’s a competitive advantage. : Because none of our competitors locally are offering this. So we don’t need evidence we need to just get it out there and make sure that our patients are aware of it and create stickiness that it can go all over the map with this stuff. : And yeah it’s such workflow it’s clinical practice is that at home is it at the hospital. All these things come into consideration and so Swatee what cwould you say a time that you had set back, a big learning that you got out of that setback. You want to share with us? : Well you know it’s a really interesting question and I think it’s an important one to raise especially for us in health care because we’re not typically allowed to fail or even discuss failure. Usually as big risk implications. Right. : It’s big ones right. So it’s great. But you know I was it was just actually last week I was particularly frustrated about wait where things were with our company and I was tired. Have you ever done a start up? It’s exhausting. : Yeah he’s a veteran who’s been around for a long time and so he was like Swatee like you know when we were starting Jordan Yeah I was asking a lot of players in the NBA. What’s the deal like about Michael. And there was a player. I grew up in Chicago so I know all the players so he’s like there’s this player BJ Armstrong and I remember B.J..
: Did you grow up in Chicago? : You know that’s where I’m based right? : I knew I liked you for a reason. I knew I like you for a reason. : Fast sensibility comes out in real life. It’s probably very conversational it just kind of weird for a lot of people out of the West Coast. : That’s funny. So he is asking these players right? : Yeah and he’s asking BJ and BJ said you know here’s the thing about Michael. He either wins or he learned something he doesn’t lose. Yeah. So losing and with failure is when you had. I think this is really true for innovation. It’s, a failure is when you haven’t taken a time to get a lesson or learn something and you should inherently that’s what it should inheritly be. Is your learning if you’re not if you’re an innovation role and you’re not learning you’re not innovating because you should either be winning or learning. And if your leadership isn’t encouraging that then you really have to ask yourself “Do they really want innovation?” Because the other thing about health care is people say they want innovation and then you give it to them and then they just turn around and run the other way. So if you’re in a situation like that then you really act and ask yourself. Are you innovating and you really want to innovate? And it’s okay to say “hey we don’t want innovation” it’s okay to say that because we’re a variety of factors your business model may not support it, your culture may not support it and trust me I’ve been in rooms and I’ve been in presentations and I’ve given it and I’ve seen my fair share of hostility. I’ve seen my fair share of discomfort. It’s just you just don’t have people in the room that are temperamentally suited for innovation. It’s all okay but you just have to be very very self-aware on where you are but if you really are innovating your journey. So I think for us if you want to put it in that frame our biggest learning opportunity. Right. One of the biggest and it’s not really even a failure because in fact we’re actually I think we’re leading the way because we get asked a lot and I’m happy to talk to them, is around here reimbursed. And that’s one is another area I don’t think people yet have gotten an appreciation for. This is one that’s coming up because rules are even changing. Regulatory is coming up now where it’s encouraging the adoption now and right now in fact there is a call by CMS to comment on upcoming they have got an upcoming telehealth changes to telehealth coding for 2019 and are encouraging comments. I was just talking to the CMS folks just last week. And they said “please comment on this because we’re not experts and we read you from the innovators, So we may not know about new technology applications and interventions so please comment.” So one of the areas of learning for us even as we’re going through this is for example we didn’t we never thought our solution could be reimbursable well through the partners that we were working with. We started coding and billing certain call are like “oh wait a minute you can build against this you can build in there like?” Yeah. So we started working then with our current provide clinic partners that we’re working with. We started talking to billing experts, restarted engaging with other payers will working with to come up with a schedule of codes and we started talking to people at CMS saying “hey can you help us understand some of the coding here.” So that’s actually a learning for us that we’re now we get asked by digital companies when we tell providers hey we’re reimbursable we’re like you’re remembering your reimbursable or payers. They get really excited. And they’re like okay you’re speaking our language you actually understand the world that we’re part of. Now are we going to be right on this? No? maybe not. It may not be applicable frankly to some people some providers or payers will be like because they’re in a very restrictive. What they don’t. It may not and we told them we said look we don’t, you have to talk to your provider you have to talk to your health agents or your state agencies. Here we work with some some parents that have had gone to their own respective Medicaid governments and said hey we want to use this program will it be a reimbursable and they’ve gotten the reimbursement right or the approval to use the program and care. So we’ll work with providers and payers hand in hand. And we’re taking active efforts now to see if there there’s even ways that we can help reduce that friction. So we talk like payers that I can see the discomfort that comes in right because this is so unknown it’s the discomfort of the unknown. And we all know that they’re going to reimburse. We want the solution but then it’s more work because we have to go back to the insurance company it’s going to be a pain blah blah blah blah blah. Right. But we tell the press here’s a schedule of codes depending on your care setting that you can use and please check with your provider it may or may not be applicable but here’s a path forward. : It’s interesting. And for the folks listening that have digital therapeutics or mobile technologies you’re going to want to know some more about how to get in touch with Swatee and their work that are team up to because you’re more than likely are like oh my gosh I want these codes so we’ll give you a way to get in touch with them here at the end of that podcast. What would you say one of your proudest medical leadership experiences is to date Swatee? : Is that where your award from the U.S. Army came in with the PTSD? : Active duty and their dependents. And what’s kind of interesting about Maddigan is people don’t realize this. It’s a young population and their active duty and they mirror the U.S. population. So it is a great site. What what’s the other thing is that it’s families lots of families there so the like young families that are getting treatment at Maddigan is that it’s not what you think of if you think about army. That’s not what you think of immediately now. That’s who we were dealing with. So it’s again putting aside preconceived notions when you hear something. But that was our first deployment and we were working in the clinical results of that study. Got us the Surgeon General Award. : That’s awesome. So how did that whole thing even happen? How did you get hooked up with the army to do this? : So this is an example of where networks and innovation networks are really important. We knew another start up in Seattle were West Coast based so we knew a startup in the health care community and we were somewhat known and she met a colonel there Colonel David McKuen that’s an oncologist and I think they’re on a panel together or she heard him speak that. A science life sciences industry event here locally. And when she found out what he was trying to do which is promote innovation in the military complex she said “hey you should talk to this company locally.” And that’s how we got connected. : That’s cool. And that’s the beauty of it. And thanks for sharing that Swatee congrats on that. The difference that you and your team are making is outstanding and the award decide the lives that you guys are impacting our super super amazing. And then also just the message behind the message being that you have to connect the silos folks. And part of what we do here on the Outcomes Rocket is put people together to share their story so that we could have these conversations to make a difference. And much like the story that Swatee just shared the local startup that met the colonel that then made an intro. This is what we all should be doing to move the needle forward and Swatee, this is awesome that you guys were able to actually take that introduction and put some good work forward to help the lives of these young young folks not just men it’s women that are going through this stuff. : Thank you. And you know if anyone’s interested in what we’re doing you’re wanting to learn more or if you have a population that has behavioral health needs. Give us a ring. Because I think we’ve been able to help a lot of people and we want to help a lot more and we’re not going to be able to do it alone. : That’s awesome. Now Swatee if they do, what’s the best place for them to get in touch with you? : They can email me directly. So I’m at swatee@litesprite.com. : And so folks will also leave that e-mail address as well as links to Swatee’s company. Just go to our otcomesrocket.health/litesprite and you’ll be able to find it there. Getting close to the end here Swatee let’s pretend you and I are building a medical leadership course. And what it takes to be successful in the business of health care. The one on one of Swatee Survey and so I’ve got four questions for you lightning round style followed by a book that you recommend the listeners. You ready? : Build technology that truly empowers patients on what they really need. : Unintentionally applying old frameworks and expectations to new scenarios. : You have to constantly learn and you have to learn from all different types of sources. : Of that, what’s one area of focus that drives everything in your organization? : What do our end users, patients, or clinicians really want in need. : What book would you recommend to the listeners Swatee? : I would actually recommend there are two books of poetry that I would actually recommend. One is by Pat Ingoldsby, Half a hug. It was he has a bunch of AMI’s as Irish poet. That’s one. And then more contemporary version is by Rupi Kaur. And it is called The Sun and Her Flowers. It’s her second collection of poetry. She’s Canadian based so I think that’s actually very both of those are interesting because you talk about one of the things that poetry does is it describes something in a way with words that’s unexpected. It’s about changing your mind, changing your frame. : So poetry is a really easy accessible way. I think that you can start changing your mind because they start describing events, experiences in an evocative way not a direct way. And I think that helps you with innovation you need to be able to see things from different perspectives, different angles, different lenses. That means you need to be able to change your mindset and your frame. : Super. I love that that’s definitely left field but awesome. And I think a really interesting way to do that. I’ll definitely be picking up one of these Swatee so thank you for that. : You’ll have to let me know if I a poem short. : So good. So if I choose one of them which one should I choose the two that you’ve discussed? : Kind of desk reference right. : Yeah I kind of like what’s the word of the day kind of thing. : Okay, very cool. And we’ll be picking one of those up. Definitely will connect with me on that and listeners do do the same. Keep your mind open, reframe. This is the way that we are going to change outcomes in health care. Before we conclude Swatee I’d love if you could just share a closing thought with the listeners and then the best place that they could get in touch with you. : I think it’s, innovation is hard no matter what, where you’re sitting on the spectrum whether you’re a health care leader internally making decisions to someone who’s been tasked to identify solutions to whether you’re the innovator in this space creating the solution and then you might be all of that right. So I think it’s just really important to, I would say it and not a pejorative so just check yourself and see where are you at on that innovation spectrum. Are you asking for things that are reasonable or appropriate? Or are your expectations reasonable or appropriate at that stage? And if not then what can you do or if you need that if you need that type of information. What can you actually do to help further that? What can you do to roll up your sleeve and become an active participant rather than a sideline critic? : Love that, Swatee. And you’ve provided your e-mail to us so appreciate that, we’ll include that in the notes you’ve left us with a lot to think about. So we appreciate that. And thank you for making time to spend with us today and looking forward to staying in touch.